The LUMii Rope Ratchets are optimally designed to assist you in regulating the height of a reflector so that you can create a finest environment for plant growth. This particular product will perform perfectly in suspending heavier lighting or air-cooled reflectors. It is also suitable for safe suspension of ventilation equipment, carbon filters and other. 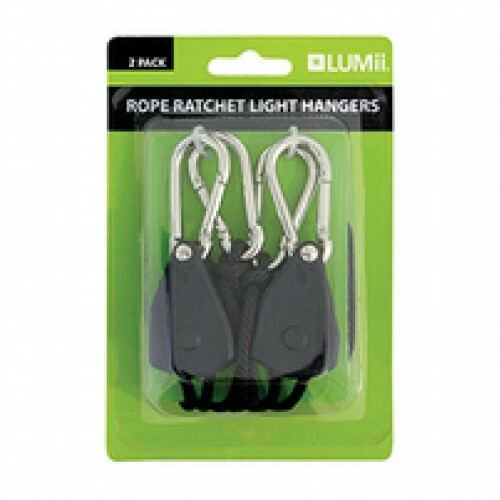 The LUMii Rope Ratchets come in pairs of two, with each having a maximum load of 20kg allowed. This translates into a total load capacity of 40kg for the entire product. Additionally, the LUMii Rope Ratchets come with a 2 meter braided polypropylene rope and two large hooks, suitable for even the largest tent poles. Caution: Do not exceed the load limit! Double check the load weight before using the LUMii Heavy Duty Rope Ratchet. Do not use if damaged! Thoroughly examine the product prior to each use. 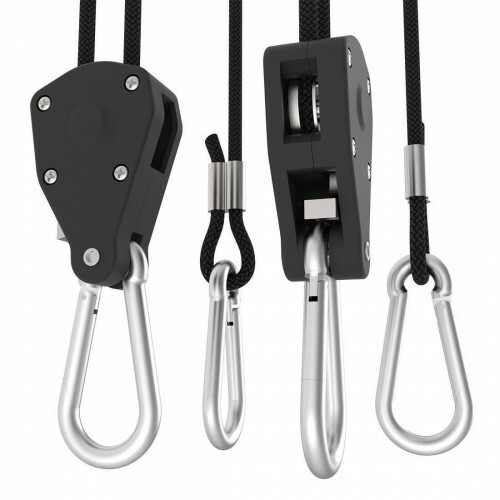 Hanging Jack Chain Strong steel Hanging Jack Chain for hanging Reflectors, Filters etc. Box con..